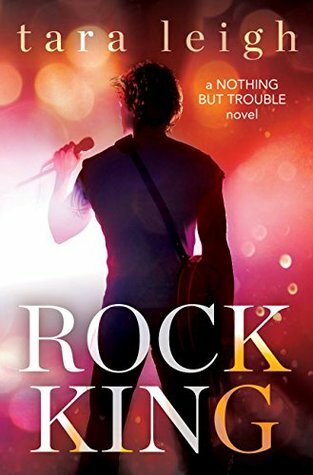 This was an entertaining read, but since I’m obsessed with the rock star trope, I expect certain things when I read about rock stars. I expect camaraderie between the band members. Such relationship arcs breath life into a story, especially when dealing with a rock star. Shane and Delaney were loners. It was hard to believe that neither of them had any friendships. And maybe the author wanted it this way for plot purposes. Since neither of them had a friend, their inner dialogues became redundant after a while. My ultimate pet peeve when reading about my beloved rock stars is when a song was written for the heroine but the reader is oblivious to the lyrics. Like, what?! This is a big NO NO for me. Those lyrics help me connect to the story on an emotional level. Here the heroine is crying and swooning, but I have to take the author’s word for it as to why. Give me the lyrics!! Had this not been dubbed a rock star romance I would have probably enjoyed it more. Because even though I had some issues with it I continued to read this book. I was curious to see how Shane and Delaney worked through their issues. I’ll admit, I’m a snob when it comes to rock stars. This was an okay read. I agree with you Natasha. The book was ok. It was definitely entertaining, but the characters didn’t have the depth to truly make them come to life. The secondary characters in books are so important to creating fully developed characters and this book was definitely missing some of that. One of my per peeves is when there is too much tell and not enough show. For example, we didn’t really see the band interact, we didn’t see inside the studio (minus a little interaction before recording “The Song”). On the flip side, the connection between Shane and Delaney had me riveted. I was committed to finishing the story to see how they overcame their various obstacles.